With over 34 years of experience in the oncology field, Mrs. Strusowski has worked in a variety of roles including an oncology nurse, nurse manager, case management, and most recently a clinical director overseeing a multitude of departments, including chemotherapy infusion, rehabilitation program, navigation, survivorship, multidisciplinary disease site centers, thoracic surgery, palliative care, oncology medical home program, wellness programs and bone marrow coordinators and accreditation program. 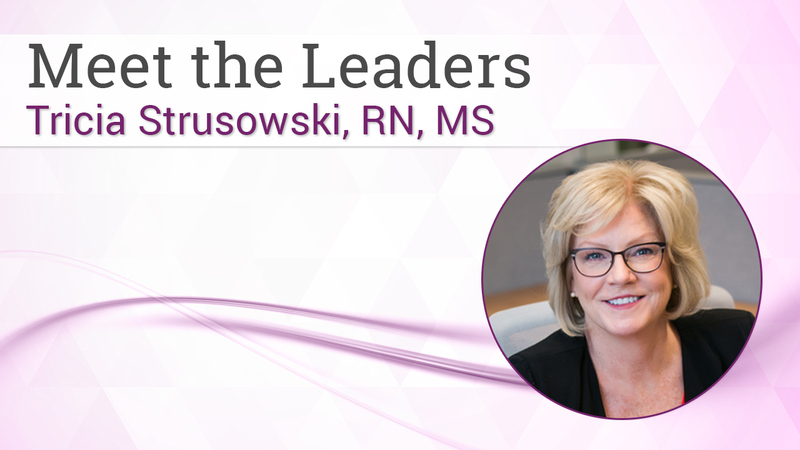 Her passion is in navigation and patient and family centered care in the oncology landscape and in conjunction with serving on multiple advisory boards, she implemented 15 multidisciplinary cancer centers including breast, lung, head and neck, pancreatic and various other tumor site specific teams. Mrs. Strusowski puts this rich work history to practice in consulting on the strategic development and implementation of oncology clinical programs within private practices, hospitals, and health systems across the country. She has presented and published nationally and has participated in the development of oncology nurse navigator core competencies and the AONN+ navigation metrics. Do administrators really understand the needs of the navigator, and are they fully aware of the infrastructure needed for their navigation programs? In a discussion on administrative engagement in navigation programs at the AONN+ Midyear Conference, Tricia Strusowski, RN, MS, posed these and other provocative questions to attendees. The first discussions about value-based metrics development for oncology navigation took place in November 2015 at the Academy of Oncology Nurse & Patient Navigators (AONN+) Annual Conference. Key stakeholders within the AONN+ membership identified an opportunity to develop quality outcome measures for navigation. The authors present findings from a focus group assessing the current state of administrative engagement in individual navigation programs. AONN+ is excited to announce a partnership with Oncology Solutions, LLC, and the American Cancer Society to execute a national navigation metrics quality study. Operations management is vital in the healthcare industry to ensure that processes are in place to provide safe, quitable, effective, efficient, timely, and patient-centered care. Tricia Strusowski recently gave a presentation on the AONN+ Standardized Metrics to a captivated audience at the Association of Community Cancer Centers. A case showing how navigation is integral to facilitate effective interprofessional collaboration and promote patient satisfaction and quality of care, as well as the efficient use of healthcare resources. The authors present the standard metrics in the areas of Patient Experience, Clinical Outcome, and Return on Investment using the Academy of Oncology Nurse & Patient Navigators (AONN+) domains for certification. AONN+ Navigation Metrics can be incorporated into partnerships between oncology patient navigators and physician practices. The authors present a case addressing the importance of understanding issues facing cancer survivors in order to effective patient-centered survivorship care. The AONN+ Metrics Task Force is proud to announce the premier national navigation metrics for oncology nurse navigators focusing on return on investment, patient experience, and clinical outcomes.